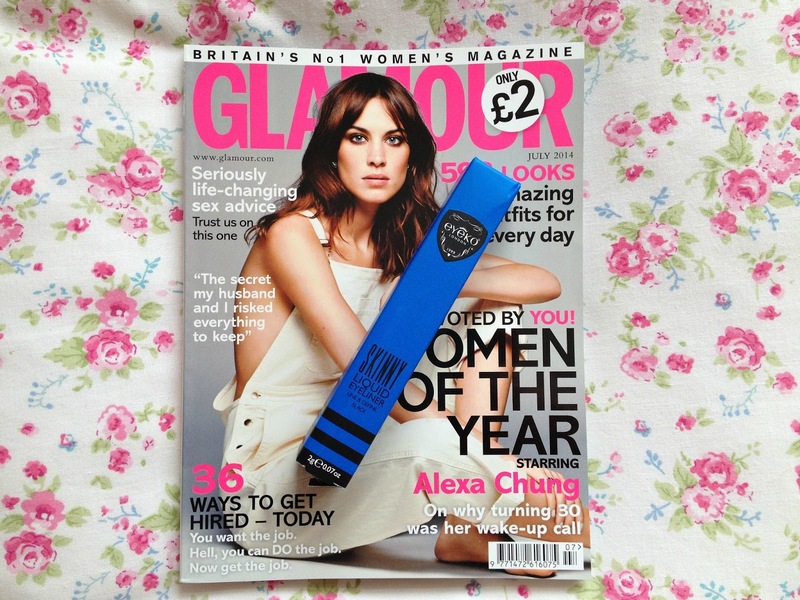 In July's edition of Glamour Magazine, they were giving away the award winning Eyeko Skinny Liquid Eyeliner in the choice of either black or navy worth £12 and after recently becoming an avid fan of eyeliner, I couldn't refuse picking it up when it was such a bargain. As you can see from the above images, I decided to go for the black option although I have read great things about the navy so wish I'd ventured out of my comfort zone and picked up one of those as well. 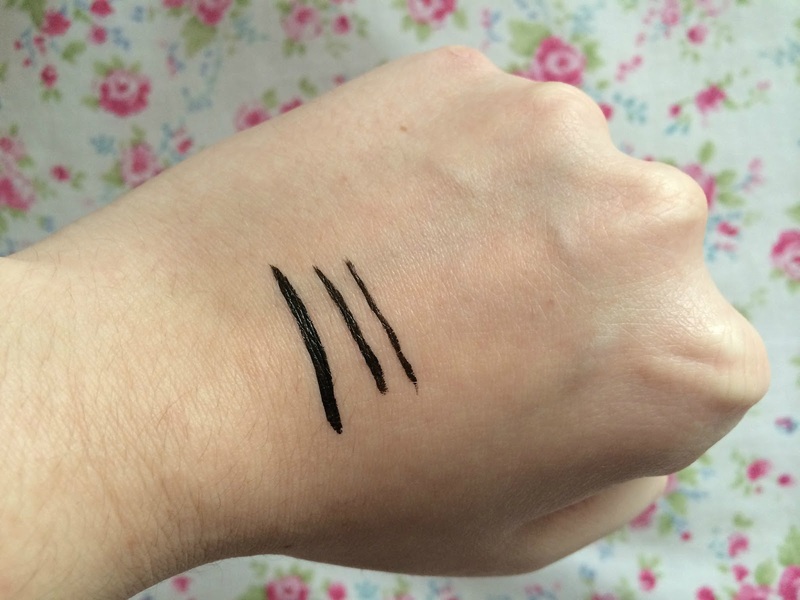 The black eyeliner is a bold jet black which is exactly what I like in an eyeliner to add definition to my eyes. Furthermore, the nib of the pen very easy to work with allowing you to apply lines of all different thicknesses therefore making it perfect for both day wear and nightwear. One thing I have found is that this eyeliner dries incredibly fast after being applied to your eye which is great but not so much if you make a mistake. 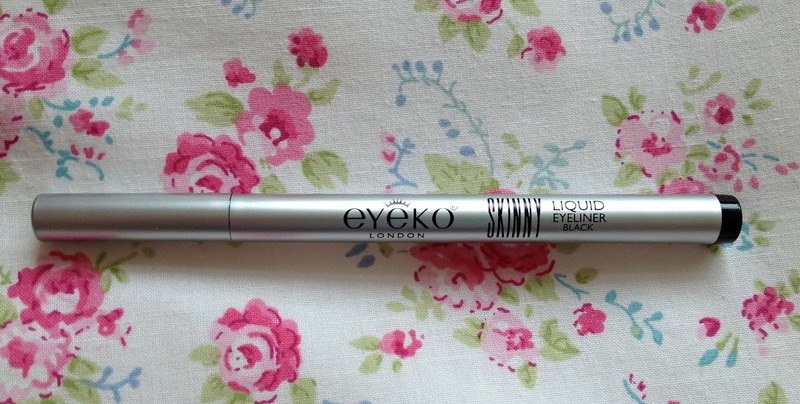 Have you tried the Eyeko Skinny Liquid Eyeliner? Or are there any other Eyeko products you would recommend?